Is alcohol affecting your life? Drinking alcohol is a widely accepted and integral part of Aussie culture. Many people like a social drink from to time, be it while hanging out with mates at the pub, attending a barbeque, watching the footy, joining in on a celebration, or just about any other imaginable occasion. Although alcohol consumption in Australia has been going down for over a decade, we are still big drinkers. For example, according to the Australian Bureau of Statistics, “in 2016-17, the total alcohol consumed in Australia was equivalent to 186 million litres of pure alcohol, or 9.4 litres for every person in Australia aged 15 years and over”. That’s 9.4 litres of pure alcohol consumption by the way — 4.5 per cent of your average 375ml regular-strength beer stubbie is made up of alcohol. While a drink or two can help you unwind, too much can harm your health and hurt your relationships. According to the Australian Institute of Health and Welfare, one in six Australians (17 per cent of the population) consume alcohol at levels placing them at lifetime risk of an alcohol-related disease or injury while 32 per cent of drug treatment episodes in 2015–16 were primarily for alcohol abuse. This makes alcohol the most commonly treated drug in the country. Even so, you don’t need to be an alcoholic for it to affect you and the people around you. That’s because it only takes one bad move when you’re drunk to cause a lot of harm. A healthy person should drink no more than two standard drinks on any day, according to most safe drinking guidelines. This will cut down alcohol-related risks over your life. People should also drink no more than four standard drinks in any one session to reduce the danger of injury. These numbers change from person to person. For example, people who weigh less will be more affected by alcohol. If you are driving, alcohol affects your coordination and ability to make the right decisions. Grog affects people in different ways and trying to guess how close you are to the ‘legal’ 05 alcohol level is difficult and very risky. It is best not to drink any alcohol if you plan to drive. Should you be worried about alcohol? Think about the answers to the following questions. Do you drink at home, at the pub or both? Do you ever drink to the point where you black out or can’t remember what happened? Is anyone in your family a problem drinker? Do you behave differently when you drink? Do you know how your family feels about your drinking? Have you ever spoken to your family about it? Have you ever had to be sorry to your family after drinking? Are you worried about your drinking? 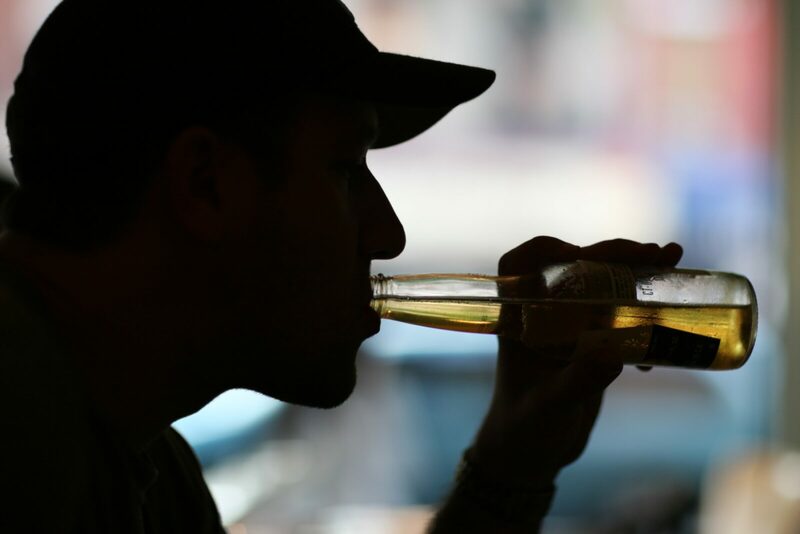 The effects of alcohol on the brain and body are both long-term and short-term. It can affect relationships with your family, employer and friends. It can hurt the people you most care about if your alcohol consumption is out of control. The negative effects of alcohol on your health, from weight gain to liver damage, are also well documented. Alcohol is a drug that affects your ability to think clearly and make the right decisions. Concerned about drinking? Need to talk to someone? Talk to a professional counsellor on 1300 096 269. It’s free to people in north, western and central Melbourne and is available 24 hours a day, seven days a week.